Punches are a staple in every paper crafter’s arsenal of tools. They come in all shapes and sizes and there is probably a punch out there to meet every need. For me they are one of my go-to tool every time I scrap. Circles, squares, tabs & and just about every other shape you can dream up is available. Even though I have recently purchased an electronic die cutter, I still hold on to my punches and cannot see ever giving them up, they will always have a place in my craft room! The punch that started it all is the humble hole punch, you know, the one you find in office supply stores and that might be in your home office instead of your scrap room. You might want to find yours if you have one (or go buy one if you don’t) as I am sharing some fun ways to use it on your DIY paper crafting and home décor projects. Nothing says “party” quite like confetti! By using your hole punch, you can add a festive touch to your DIY greeting cards. 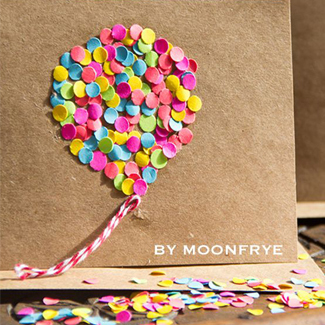 Shaker cards and confetti filled envelopes add a festive touch to your projects. 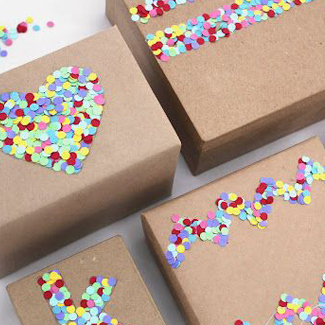 These gift wrap ideas are on a “hole” other level. My favorite idea here: confetti tape, I am going to be making lots of that and the best part is my daughter can join in the fun and punch out all of those bits of confetti for me! When you decorate with confetti inspired DIY wall décor, every day at home can be a party! Use your hole punch, or for more impact, pull out your circle punches in various sizes to create a statement piece. What is you favorite punch shape? Suddenly excited to have a colorful purpose for all little paper circles…and my stock in double-sided tape! Confetti Tape is so much more FUN and textured than printed ribbon. Love that I can make a bunch of strips and store it. 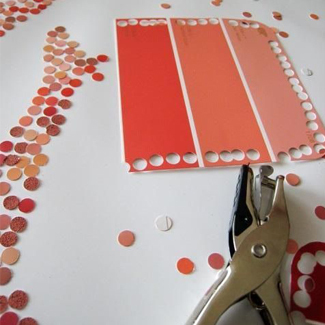 I especially love using paint chips to cut the circles from…very economical (giggle)! 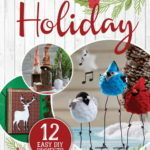 What’s up,I read your blog named “Crafting with Confetti: 14 Free Paper Crafts – Craft Paper Scissors” regularly.Your humoristic style is witty, keep it up! And you can look our website about اغانى.